Dr. Bonnie Cameron is a graduate of Baylor University (2002). 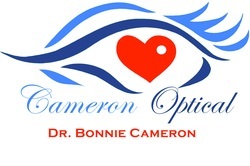 Dr. Cameron Graduated with Honors with her Doctorate from Pennsylvania College of Optometry in Philadelphia in 2005. Dr. Cameron specializes in Nuero-Opthalmology diseases and surgical referals for all types of vision disorders. Dr. Cameron offers the latest in digital vision technology for vision disorders such as macular degeneration, diabetic retinopothy, high blood pressure, tumors, alzheimers, Glaucoma, headaches, dry eye, retinal detachments, amblyopia, and even lasik Vision Correction. Dr. Cameron is also great with children and performs vision exams for children as young as a few months old. Dr. Cameron is locally know for her excellent bedside manner and has one the best ratings of any optometrist in the area. Dr. Cameron is a Montgomery resident. She resides here with her husband and there 5 Children. Dr. Cameron and her husband are always finding ways to give back to our community and she proudly sponsors and supports our local children, teachers, elementary schools, middle schools, and High Schools. She understands that giving back to our community is what makes all of us a stronger more successful community. Dr. Cameron is currently accepting High School Students volunteering in the internship program with the Montgomery High Schools opening the doors for our future local Doctors. With over 22 years of experience in Optical, Mark has trained many new optometry students and Opticians in the inner workings of Optical. Helping them to succeed in their new Optometry\Optical profession. Mark is also a licensed Optician. He has taught many apprentices throughout his career. Helping them to learn the art of making glasses and all of its nuances. Mark is also Dr. Camerons Husband of 14 years, Co-Founder, and a proud father of 5 amazing children. He manages Cameron Optical and his family life with the help of his Beautiful wife ("his Rock) and the amazing team of Cameron Optical. Cameron Optical is Family owned and operated, which means we treat our patients like family, and our employees like our own. 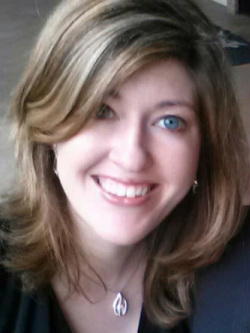 ​Dawn Benoit is our insurance billing coordinator and Dr. Cameron's Assistant. Dawn is the local Celebrity of the office and she likes to order contacts, send out bills, make appointments, reply to your emails, and also helps you check in and check out. Dawn is so down to earth she keeps us all grounded. She is loved by us all. We all utilize her for her memory because it is impeccable. She remembers everyone's name and typically greets you as soon as you walk in. So be prepared to say hi! She is usually the first person you meet here at Cameron Optical both on the phone or walking in. Her bright and happy personality is infectious! You will love her as much as we do! She loves to help you get your yearly supply of contact lenses shipped right to your door. Jamie operates our digital pre-testing with the Zeiss HD OCT with digital biopsy. She helps to find any hidden threats to your vision that hides behind your eyes and out of sight of a routine eye exam. As one of the only operators of this technology she is highly recommended and the best in her field. We operate the only in-office-Laboratory in Montgomery with the proper equipment to make eyeglasses in house. We offer Varilux, Hoya Mystyle, Hoya ID, Zeiss Lenses, and every style you may want or need. That is because We offer every lens design design offered in the industry today. With our Finishing lab making glasses here in our office ensures that you get that personal touch and finish that no third party laboratory can do. Our in house Lab and office is equipped to cut fabrication time in Half and offer everything our competitors can't. Want to keep your frame and just get your New Prescription lenses in them? Bring your frames to us and watch the magic happen!